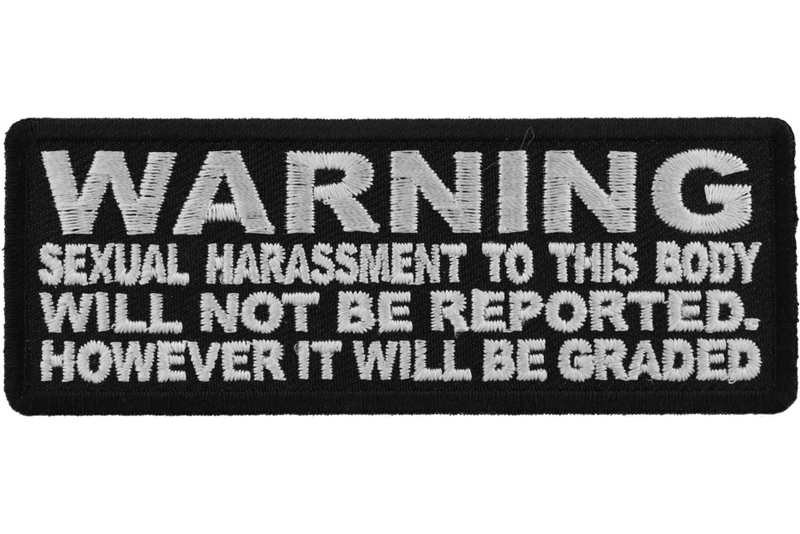 Warning Sexual Harassment to This Body Will Not be Reported It will be Graded Patch measures 4x1.5 inches and is Embroidered in Black / White. The Small Patch can be sewn on or ironed on to clothing such as Denim or Leather Jackets, Vests, Hats, Back Packs, Shirts. Features plastic backing and embroidered die cut borders.